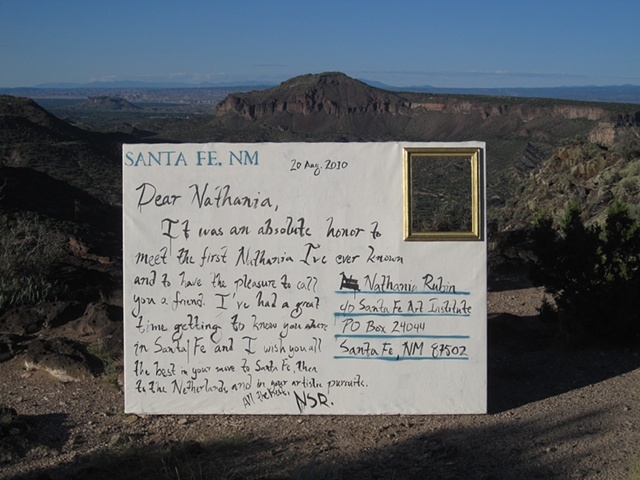 I installed a giant portable postcard (built from a portion of my studio wall) in various picturesque landscapes around Santa Fe. Once propped on site, a note was written, and a photo was taken of the structure obscuring the landscape. It was then printed as a postcard and mailed to the addressees.